Sometimes kids need a shove to get them outdoors. Sometimes kids need a shove to get them outdoors. Trees, streams or wildflowers might not have the same hold on them as video games with world-class athletes, jet fighters or lovable creatures from outer space. 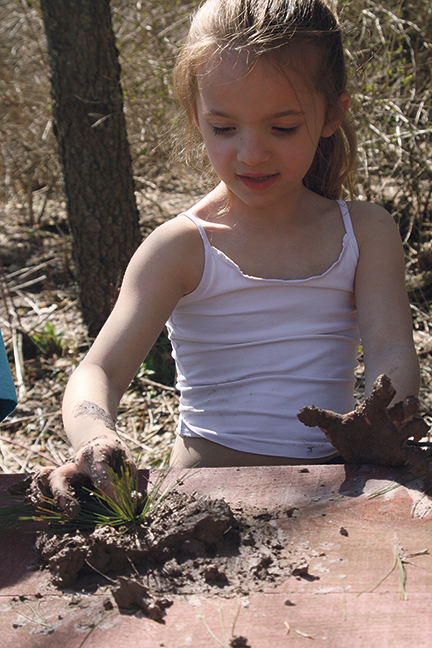 But children who get a taste of the outdoors beyond their neighborhoods can change their minds. Let him discover a crawfish under the rocks. Challenge her to climb and swing on some vines. Give them the chance to listen to the midsummer locusts and smell the wild mints. As Baltimore Woods’ camp director, Meier oversees youth programs and camps that take place during school breaks. Over the past seven years he’s seen how children respond to new terrain and unexplored spaces. It’s thrilling to watch students in the Nature in the City program—a partnership with Syracuse and Auburn schools—as they walk into the woods for the first time in their lives. During a typical school group visit, depending on the season, not much time passes before younger kids start collecting bark, leaves and sticks while their older peers make plans to dam up the creek. Before the end of a visit, trees will be climbed and forts will be built. Meier, the son of an Army soldier, lived in seven different states growing up. Fishing with the neighborhood kids was always his favorite activity. He joined Boy Scouts, decided at an early age that he didn’t want to work in an office, and went to the SUNY College of Environmental Science and Forestry in Syracuse after high school. He notes that while the attraction of electronic devices deserves much of the blame for kids spending less time outside than their parents did, over-supervision is also a factor. About 10,000 students in the Syracuse City School District participate in Baltimore Woods’ Nature in the City program each academic year. Michael Henesey, the district’s communications coordinator, said in an email interview that the program helps students better understand both scientific concepts and the natural world around them. In addition to the partnership with Baltimore Woods, the school district also sends third-graders on a visit to Elmwood Park, where they conduct stream studies and measure water quality based on the number and types of organisms present in the stream. 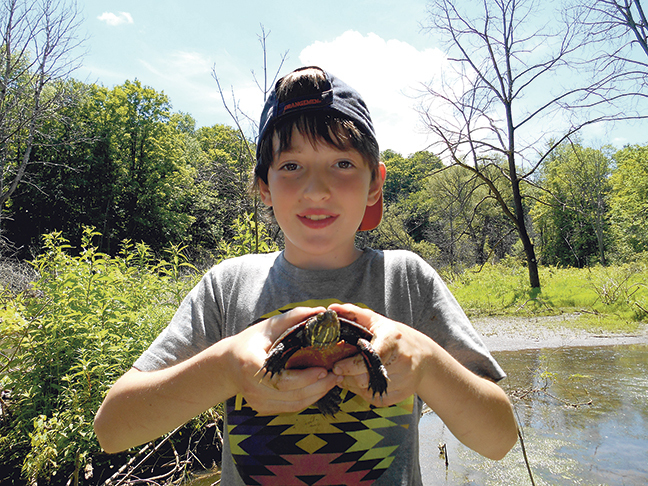 Ellen Eagan says her son, 13-year-old Ben, and daughter, 9-year-old Sarah, participated in the Nature in the City program before they decided to enroll in summer day camp at the nature center. At the time they were signed up, Eagan was just looking for a way to separate her kids from electronic devices for a few hours each day. She says that decision continues to pay dividends. The children had to toughen up; all participants were expected to be outside all the time, regardless of heat, chilly winds or rain, as they learned to value, understand and respect nature. Camp topics included the causes of forest fires; staying hydrated for long hikes; and dressing appropriately for hot and cold conditions. They also learned the value of teamwork, as the youngsters are expected to work together to help slower or less fit kids finish difficult treks. Sarah now likes to lead her parents on long walks in the woods and point out the different types of plants, trees and wildlife. Eagan says she’s especially impressed that Sarah can spend time alone in her backyard—any time of year—and just enjoy her surroundings. Ben, meanwhile, has from his time at the camp developed a strong work ethic that has carried over into schoolwork and sports, especially running and swimming, where he’s constantly pushing himself. Greg Mosure, of Marcellus, says his son Ethan, now 14, has also benefited from time at Baltimore Woods. The Mosures moved to Syracuse from Columbus, Ohio, in 2010. Their old surroundings included streets, sidewalks and strip malls. The only tree-lined area large enough to drown out the sound of the highways was 45 minutes away. “It was quite an undertaking just to get to a place where you could walk somewhere that was quiet for an hour,” Mosure says. At the Baltimore Woods summer program in 2011, the 10-year-old went from a high-structured learning environment to an unstructured one. Since his participation at Baltimore Woods, Ethan has hiked six of the Adirondack High Peaks. At Mount Marcy one time, when Mosure forgot to bring kindling for a campfire, Ethan immediately pulled bark off a birch tree and lit the fire himself. 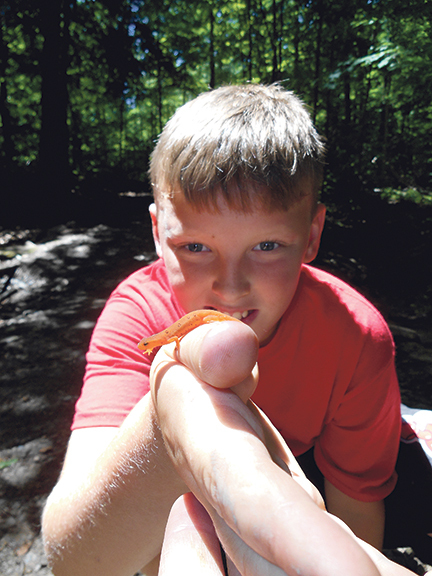 Mosure says his son’s fascination with nature has carried over into his schoolwork. He excels in science, especially during lab time, as well as with any subjects that involve hands-on work. 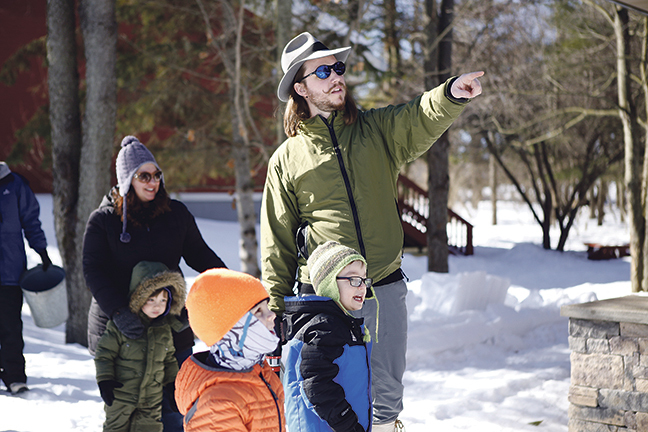 Meier, the camp director, says that even with his considerable knowledge and experience of Central New York forests, he still finds himself discovering new things. In his mind, a guide can’t consider himself experienced until he’s spent a decade hiking the same trails. Last year he did a “black light hike” and, for the first time in his life, saw what hundreds of thousands of insects do after dark on clear summer nights.